SB 1115 (Hill) – – removes the $10M limit on the property tax welfare exemption for an affordable housing provider. AB 2343 (Chiu) – increases the time periods for tenants to respond to notices and other tenant protections. AB 2618 (Bonta) – establishes certification & training requirements for landlords & property managers. AB 2648 (Friedman) – exempts water contamination injuries from the 10-year statute of limitations for construction defects. AB 2930 (Santiago) – makes permanent a law allowing some cities to directly evict tenants for certain weapons and drug offenses, without a criminal conviction. SB 1296 (Glazer) — Department of Housing and Community Development: database of local fees. SB 827 (Wiener) – allows increased densities for housing near transit. SB 829 (Wiener) – creates a by right process from farmworker housing. SB 1296 (Glazer) – – requires general plan annual report to include development fee schedule; requires HCD to compile a database of the fees. (Dodd) – imposes new restrictions before water can be shut off at a property. (Jackson) – requires housing elements to address climate change. AB 2063 (Aguiar-Curry) – imposes restrictions on door-to-door solicitations for Property Assessed Clean Energy (PACE) retrofitting. AB 2162 requires that supportive housing be a use by right in zones where multifamily housing is permitted. AB 2923 (Chiu) – gives BART the authority to approve high density affordable develop on BART-owned land. AB 2413 (Chiu) – alters and enhances protections for tenant domestic violence survivors. AB 2925 (Bonta) – requires just cause before a tenant may be evicted; does not pre-empt any local ordinances. AB 2364 (Bloom) – Ellis Act reforms. AB 2056 (E Garcia) – authorizes HCD to make loans and grants to nonprofits, resident associations, and local governments to acquire, rehabilitate, or make accessible parks and homes in the park, under varying conditions. SB 828 (Wiener) – makes a number of changes to the RHNA process. SB 1227 (Skinner) – creates a density bonus for student housing. SB 1333 (Wieckowski) – applies the state Planning & Zoning Law to charter cities. AB 2753 (Friedman) – requires local governments to respond to density bonus applications within prescribed time frames. AB 3147 (Caballero) – fixes development fees for housing at the levels in place when the application was deemed complete. AB 2562 (Mullin) – authorizes HCD to reduce loan interest rates to the level needed to monitor projects. AB 3072 (Chiu) – increases the aggregate state Low Income Housing Tax Credit by $300M per year, with $25M for farmworker housing; makes a number of other changes to make the credit make usable. AB 3037 (Chiu) – allows local governments to create new redevelopment agencies, with purposes limited to infrastructure and housing, and subject to approval by the Dept. of Finance. To learn more about finance and money, look for Green Day and learn more. AB 2887 (Aguiar-Curry) – makes a number of changes to migrant farm labor center laws. AB 3171 (Ting) – creates a state matching fund grant program for cities to create innovative local programs to combat homelessness. SB 818 (Beall) – makes permanent the Homeowners’ Bill of Rights and enhancing several of its foreclosure protections. 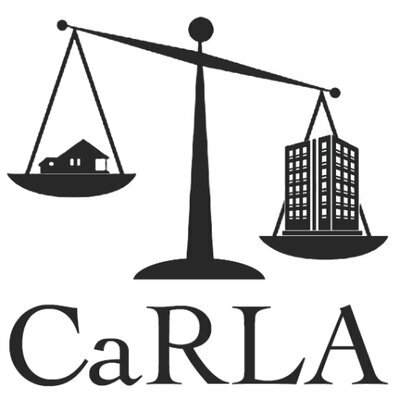 We’ll be analyzing many of these bills as they make their way through the legislature and what it means for state housing law in California.